It’s the end of the weekend and we have a special Sunday edition of the blog. 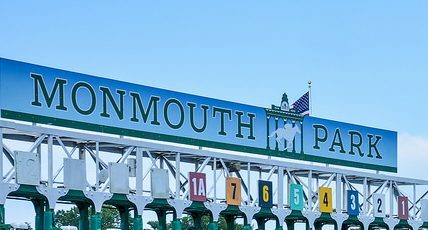 This week is the 9f Haskell Invitational, a GI $1 million dollar race from Monmouth Park in New Jersey. It’s the highlight of a weekend with 3 3YO races. At Saratoga, we’ve already seen Hofburg capture the Curlin on Friday and Tenfold took the Jim Dandy on Saturday. This race begins with Good Magic, who is among the leaders in this now-open division (with the retirement of Justify.) His resume includes wins in the GI Breeders’ Cup Juvenile and in the G2 Blue Grass. He had a strong second in the Kentucky Derby, finishing only 2 1/2 lengths behind Justify. He finished a close 4th in the Preakness. He’s run a 100 Beyer — in last’s year Juvenile but hasn’t reached a new level this year. He may be good enough to win today without improvement, but he won’t be at the top of the division unless he moves forward. Bravazo was part of that close finish in the Preakness. He’s certainly moved forward this year — putting up 4 of 5 90+ Beyers in his last 5 starts. He tops out with a 96 in the Preakness. It’s tough to read how much he moved forward in the slop, I don’t quite think he’s as good as he was in the Preakness and is probably too slow to win here today. Core Beliefs and Lone Sailor both exit the Ohio Derby. Core Beliefs, who got up by a nose, has been steadily on the improve all season. He ran a 94 Beyer in the Ohio Derby. Lone Sailor, who also earned a 94 Beyer in the Ohio Derby, ran well in the Preakness as well. He is 1 for 11 — running in top races, but still not finding the winner’s circle since his second start. Golden Brown seems better on the turf and he’s too slow. Navy Commander won a local prep in the Long Branch but his 84 Beyer is too slow for this race. Roaming Union, who finished second in a different local prep, could be on the improve with the third start in the cycle. He hasn’t found the winner’s circle enough to be a serious contender. Analysis: I like trying to beat Good Magic, who will play a role in the race. But at 6-5 (or worse), I think there’s risk with this horse if another one improves. Core Beliefs has been improving and can continue to improve. He’s only made 6 starts and it took him to his 3rd start to figure it out. I wouldn’t be surprised if he has another gear and shows it at Monmouth.